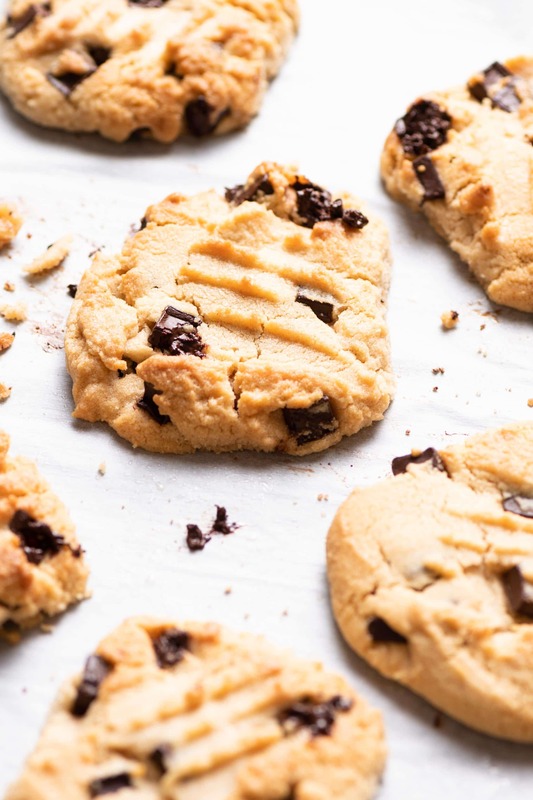 I totally developed the most delicious soft Peanut Butter Chocolate Chunk Cookies for you to try! Seriously, you will be eating the whole tray! I certainly couldn’t stop after just two. 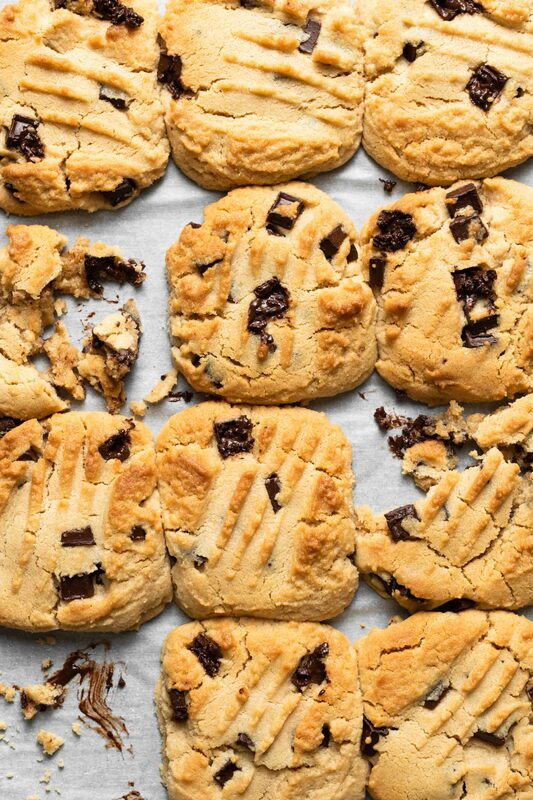 For me a cookie should be soft, gooey, and full of flavor. 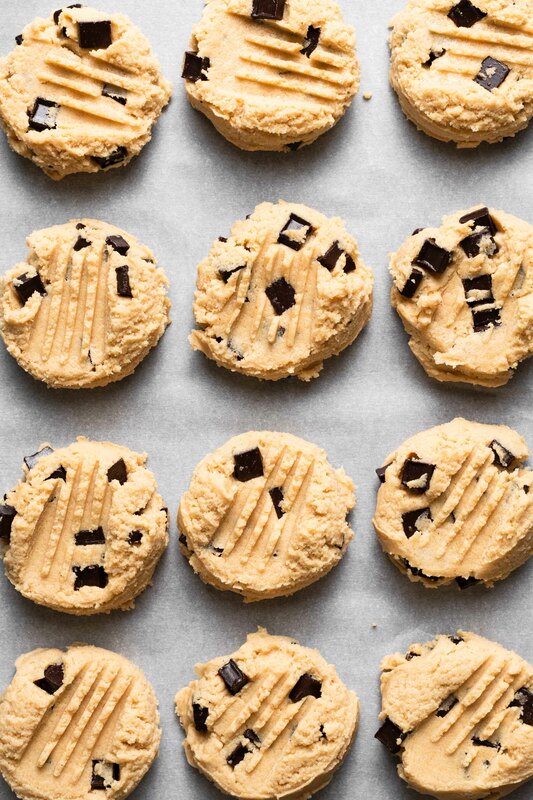 With perfect butter to flour ratio, creamy peanut butter, and chunks of dark chocolate you will be amazed. Really, you just need to bake a batch and dig in with a tall glass of milk. 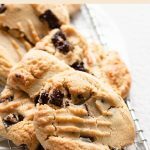 What makes these cookies so fabulous is the mixture of Cake Flour and Bread Flour to create a soft fluffy base. I’ve tested this recipe with All Purpose Flour and the texture just isn’t the same. 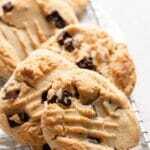 With the Cake and Bread Flour combo the cookies spread nicely, bake evenly, and melt in your mouth. On the opposite side of the spectrum they become dry and cake like with All Purpose Flour. So please make sure to use the same ingredients for a sweet tooth satisfying result. 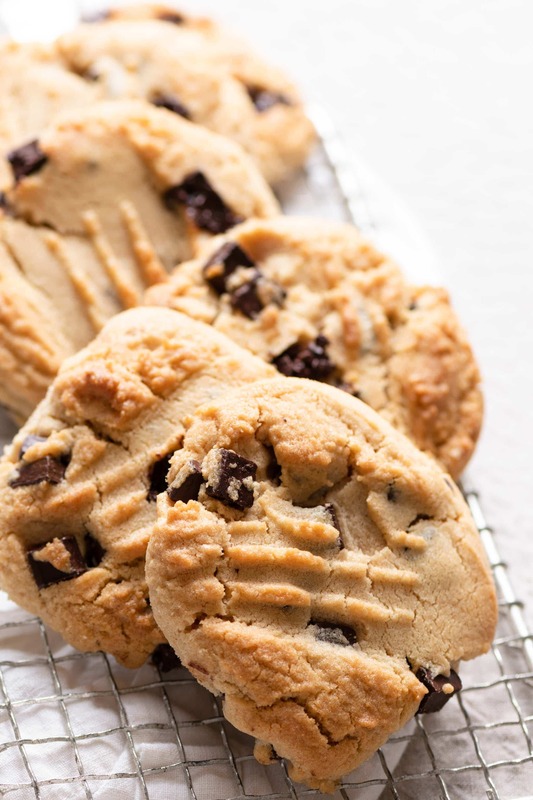 Soft Peanut Butter Chocolate Chunk Cookies that are gooey, and full of flavor. With creamy peanut butter, and chunks of dark chocolate you will be amazed. Prepare cookie sheet with parchment paper and Preheat Oven to 350 F (175 C). In bowl of stand mixer with whisk attachment or large bowl using hand mixer, cream together butter and peanut butter. Make sure to scrape down the sides and bottom of the bowl throughout mixing to incorporate all ingredients. Add sugar, brown sugar, egg, and vanilla to the butter mixture. Incorporate on medium high until blended. Slowly spoon in flour mixture at a lower speed, then turn back to medium high to form cookie dough. Fold in chocolate chunks with a spatula. 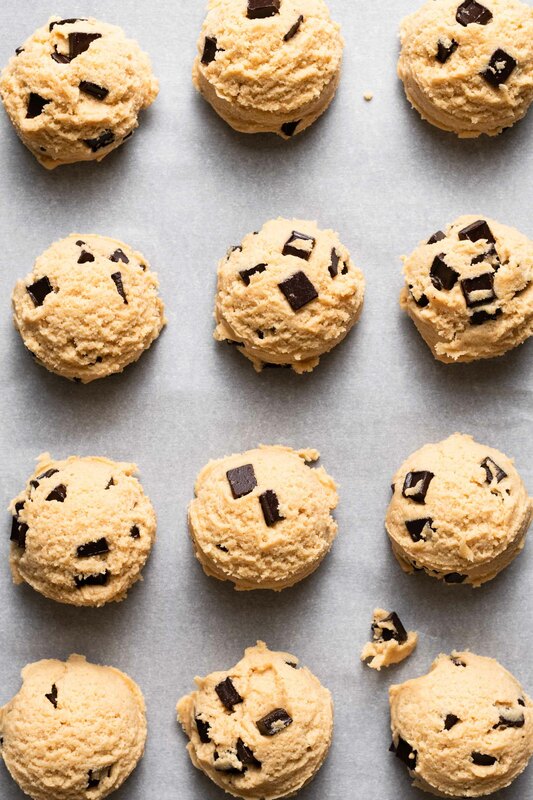 Take a 2 Tbsp Ice Cream Scoop and measure out cookie dough balls. 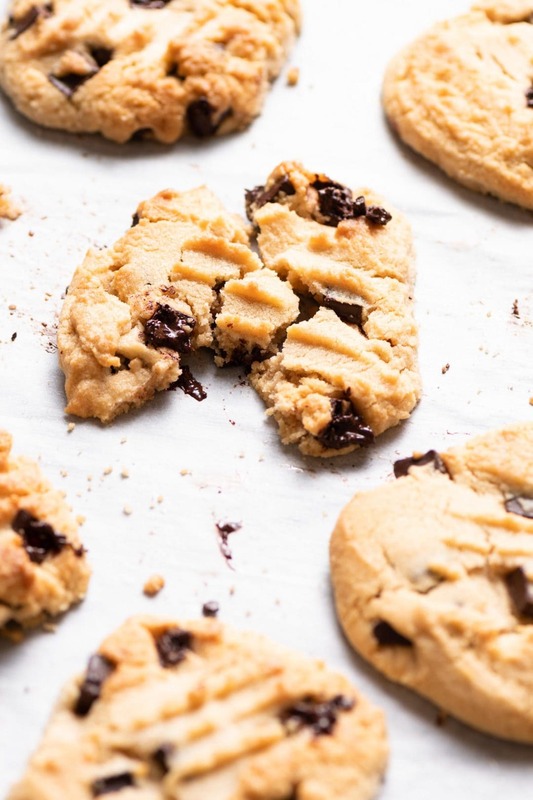 Place 0.5-1 inches apart on cookie tray. 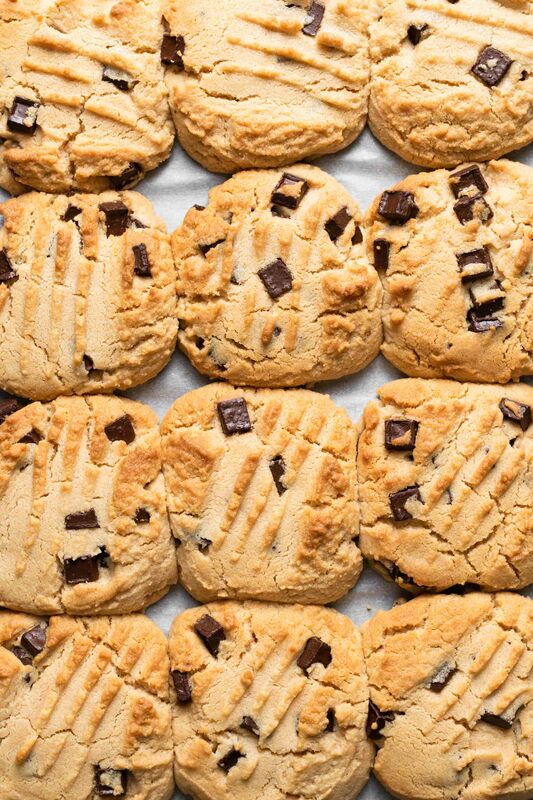 Gently press the top of each cookie down with a fork. Bake 12-15 minutes until cookies are starting to brown on top. (DO NOT over cook or they will loose their gooeyness). Place tray on cooling for 10 minutes before eating.